First, it is important to clarify what interreligious dialogue is not. Interreligious dialogue is not comparative studies of religion. Comparative studies of religion is leaning about the other. It is a “head trip”. Interreligious dialogue is first and foremost a personal encounter with the other. It is meeting the other. It is a “heart trip”. Interreligious dialogue is not debate. In a debate, there are arguments back and forth, with winners and losers. In interreligious dialogue, there is a mutual sharing between the partners; both are winners; no one is a loser. Both partners grow in their knowledge and appreciation of God, the world and each other. Interreligious dialogue is not a wider form of ecumenism. Ecumenism has the specific purpose of bringing about the visible unity that Christ desires for his body, the Church. Interreligious dialogue does not aim to bring about the unity of all the religions, to bind them all into a super religion, a mega-religion which fuses elements from them all into a single whole. Rather, the purpose of interreligious dialogue is to bring about better mutual understanding and cooperation between believers from different religions, in service of the truth and the common good, while each retains his/her religious identity. Interreligious dialogue is not a covert attempt to seek converts from the other religion. Having such a hidden agenda would betray the integrity of the process. Naturally, each participant may hold that his/her religion is the best and may even claim divine sanction for that belief. However, dialogue is a sharing of convictions, not an attempt to convince the other to embrace them. In the process of dialogue, partners may recognize particular truths and values in the other. As a matter of conscience, they are bound to accept and integrate these truths and values into their lives. In this sense, both dialogue partners grow in a deeper conversion to God while continuing to live out their respective faiths. If the trajectory of that growth points towards a free conversion from one faith to the other, that is first and last God’s task, in which the human collaboration is the work of proclamation and catechesis, not of interreligious dialogue. Having clarified what interreligious dialogue is not, it is now easier to say what it is. Cardinal Francis Arinze provides a very good definition. Interreligious dialogue is a meeting of people of differing religions, in an atmosphere of freedom and openness, in order to listen to the other, to try to understand that person’s religion, and hopefully to seek possibilities of collaboration. It is hoped that the other partner will reciprocate, because dialogue should be marked by a two-way and not a one-way movement. Reciprocity is in the nature of dialogue. There is give and take. Dialogue implies both receptivity and active communication. The dialogue of life, where people strive to live in an open and neighbourly spirit, sharing their joys and sorrows, their human problems and preoccupations. The dialogue of action, in which Christians and others collaborate for the integral development and liberation of people. The Dialogue of Friendship: Having come to know and like one another through one or more of the above dialogues and become friends, simply enjoying each other’s company. Interreligious dialogue is transforming the lives of Christians and other believers throughout the world. It is changing the way we do theology together. It is leading to more effective collaboration among believers for the common good. These few pages serve as an introduction only. Other pages on this website will direct you to more sustained treatment of the various related topics. 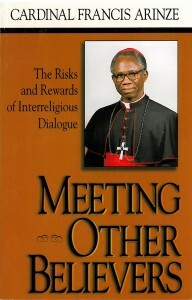 Cardinal Francis Arinze, Meeting Other Believers: The Risks and Rewards of Interreligious Dialogue (Leominster, Herefordshire: Gracewing – Fowler Wright Books, 1997), 5. Wayne Teasdale, Catholicism in Dialogue: Conversations across Traditions, ed. Robert A Ludwig, Catholic Studies Series (Lanham, Boulder, New York, Oxford: Rowman & Littlefield, 2004), 28-34. The reasons for interreligious dialogue are many and varied. They can be divided into two main areas, the anthropological, social or philosophical (i.e. according to reason) and the theological (according to faith). The latter can be subdivided into general theological reasons and specifically Christian motivations. The most basic reason for dialogue among human beings is our common humanity. We all share a common human nature. We are all sisters and brothers. More specifically, at every stage of our lives, we grow through dialogue, through relationships. It is written into the DNA of our being. We are conceived in the sexual union of our biological parents. We become individual persons through the loving gaze of and interaction with our parents as they nurture and nourish us in our early lives. We are socialised into the family through relations with siblings and other relatives. We are drawn into the wider social world through teachers and school friends as we advance through the educational system. We contribute to our societies through career choices in the work force. Many people fall in love and enter into life-long partnerships, becoming the parents of the next generation. At every stage of life, who we become and how we contribute to our world is a product of dialogue, of relationships. In recent decades, the relative ease of international travel has enabled the first, second and third waves of migrations, migrant workers, tourists and refugees fleeing conflict, famine and environmental degradation. The result is that people of different cultures, ethnicities and religions are now living, working and playing side-by-side in suburbs, schools, factories, universities, hospitals, shops in cities and towns across the world. Interreligious dialogue is essential for generating mutual respect and harmonious relations across the spectrum of religious diversity. And if the neighbour across the fence happen to be of similar background, instant global communication brings people of different ethnic, cultural and religious backgrounds into our living rooms, via the screens of our televisions, computers and other devices. In today’s world, the fact of religious diversity is inescapable. Interreligious dialogue is the most effective way of learning about the other and living creatively with this diversity. Finally, the new story of the emergent universe,of the evolution of generations of stars and galaxies, of the formation of the elements and of the origins of life on our planet have led to a new ecological awareness, of a heightened sense of belonging, that we are integral part of bio-systems. Interreligious dialogue helps us to accommodate this new learning and to appreciate our belonging to the earth and to each other even more. While science teaches us the what and the how of the universe, religions teach us the why and wherefore. Accordingly, religions acknowledge an ultimate purpose at work in the universe. Their teaching and practices are disciplines of mind and body to align the believers with this ultimate purpose. Many religions acknowledge a personal Creator and see the marvels of creation as the handiwork of God. They also acknowledge God as a Judge who holds humans accountable for their actions in life. However these beliefs are articulated, the sense of shared origin, of shared life and of shared destiny provides further theological motivation for interreligious dialogue. Christians confess that God is Trinity, a communion of life and love, an exchange between persons. For Christians, this confession provides the ultimate justification for interreligious dialogue. Made “in the image and likeness of God” who is dialogue, we too must engage in dialogue to discover the richness of God’s various engagements with people, which Paul VI called “a many-splendored conversation” (ES, 70). We cannot call God our Father if we do not acknowledge others as our sisters and brothers on whom divine providence shines with equal affection (cf Mt 5:45). We cannot truly confess Jesus as Lord if we do not acknowledge that rays of his truth enlighten all people (cf Jn 1:9). Similarly, the same Spirit which has touched our lives is present and active in the lives of all peoples. The church is the sacrament of salvation, not the repository of the saved. The Kingdom of God is the ultimate horizon towards which all creation is yearning. All these themes of Christian theology and more are developed in the Catholic Church’s teaching on interreligious dialogue. It must also be mentioned that not only other churches, but also other religions, have developed rationale and motivations for interreligious dialogue according to their own traditions. When we search the scriptures, we can find many ways in which God dealt with various peoples. We can also find occasions when Jesus and his apostles talked with people of other religions. In all of these, we can find models and examples for interreligious dialogue. Here are some verses which might encourage us in our relations with believers from other religions. “Enlarge the site of your tent, and let the curtains of your habitations be stretched out; do not hold back; lengthen your cords and strengthen your stakes.” (Is 54:2) This verse suggests the expansiveness of God’s all-inclusive love. By listening to others’ experience of God, our own understanding of God is expanded. This exhortation to neighbourly love does not apply in the literal sense only to the one who happens to live next door. In our globalised world of today, we are all neighbours, so it applies also to believers from other religions. A section on “Women and Interreligious Dialogue” gives the false impression that women are only a part of interreligious dialogue, a sub-section. The reality is that women are active in the whole of interreligious dialogue, probably more so than men, and probably more effectively than men! However, their voice and their participation are often screened out by patriarchal blinkering! This is heightened when religious leaders are mostly men, at least in terms of performing public roles and in public representation of the religion, though again, it is mostly women who are the bearers of the tradition. Women make up most of many religious congregations; women are the ones most influential in handing on their tradition to the next generation; women are the ones most engaged in practical living out of religious values of service and promoting peace; women are the ones most engaged in networking and relationships with women from other religions. This section is not intended to marginalize women in interreligious dialogue, but to highlight their essential contribution. Winter, Miriam Thérèse. “Doing Effective Dialogue – and Loving It.” In Interfaith Dialogue at the Grass Roots, edited by Rebecca Kratz Mays, 25-34. Philadelphia, PA: Ecumenical Press, 2008. This paper was first given in February 2004 at the Nanzan Institute of Religion and Culture in Nagoya, Japan. It is an updated, revised version of her earlier article “Feminism: the Missing Dimension in the Dialogue of Religions” in Pluralism and the Religions. The Theological and Political Dimensions, edited by John D’Arcy May (London: Cassell, 1998), pp. 40-55. Donnelly, Doris. “On Relationship as a Key to Interreligious Dialogue.” In In Many and Diverse Ways: In Honor of Jacques Dupuis, edited by Daniel Kendall SJ and Gerald O’Collins SJ, 133-45. Maryknoll, NY: Orbis Books, 2003. Madigan, Trish. Report on the Australian Women’s Coalition Intercultural Bridge-Building Project: A Study of the Social and Political Impact of Women’s Intercultural Dialogue. Deakin, ACT: Australian Women’s Coalition, 2010. http://www.awcaus.org.au/Projects.aspx. Open the link and scroll down. Articles listed in chronological order of publication. Marshall, Katherine, Susan Hayward, Claudia Zambra, Esther Breger, and Sarah Jackson. Women in Religious Peacebuilding. Washington, DC: United States Institute of Peace, 2011. http://www.usip.org/publications/women-in-religious-peacebuilding. Marshall, Katherine. A Discussion with Jacqueline Moturi Ogega, Director, Women’s Program, World Conference of Religions for Peace. Berkely Centre for Religion, Peace & World Affairs: Georgetown University, 2007. Link to list of interviews: http://berkleycenter.georgetown.edu/interviews/people/jacqueline-moturi-ogega. This is a discussion on women’s roles in peacemaking, especially taking religion into account. Her analysis builds from the argument that women’s multifaceted roles are important and often invisible, underplayed, or ignored. She sees peace-building as extending far beyond conflict resolution to the broad development of communities and relationships. Training and confidence building play key roles. McGrory, Jane Faithful Peace, Peaceful Faith: The Role of Women of Faith in Building Peace. Progressio (Catholic Institute for International Relations) UK 2008.
http://www.progressio.org.uk/content/z-publications-library. B. Open the link and scroll down. Articles listed in alphabetical order of title of the article. Religions for Peace. Women of Faith Transforming Conflict: A Multi-Religious Training Manual. New York, NY: World Conference of Religions for Peace, 2004. UN Women. Women’s Empowerment Principles: Equality Means Business. New York, NY: UNIFEM 2010. UN Women. Progress of the World’s Women: In Pursuit of Justice. New York, NY, 2011. http://www.unwomen.org/resources/progress-of-the-worlds-women/. Acknowledgement: References provided by Sr Trish Madigan op. Links updated by Fr Patrick McInerney in February 2015. Here are some websites that are dedicated to women’s voices in interreligious and intercultural dialogue. Note the different concerns they address, the different approach they take, the alternative methodology they follow, the different styles they embody, the different feel they engender. CIMER engages with communities of people of other faiths, and contributes to mutual understanding and social cohesiveness in Australian society. We develop communities and make known the theological and other resources found in the Catholic and Christian tradition which support interfaith engagement. We focus especially on women’s role and participation in the religious faith traditions and women’s contribution to building societies of peace, justice and care of creation. This toolkit is designed to support women of faith to build, equip and grow powerful and effective multi-religious networks. It includes essential information about the mission of Religions for Peace, and it provides practical tools for collaborating with existing Women of Faith Networks in Africa, Asia, Europe, North America and Latin America and the Caribbean. It is a manual for empowering women to join the Religions for Peace Global Women of Faith Network in its crucial work for peace. Arinze, Cardinal Francis. Meeting Other Believers. Leominster, Herefordshire: Gracewing – Fowler Wright Books, 1997. This is an excellent account of the Catholic Church’s approach to interreligious dialogue. As President of the Pontifical Council for Interreligious Dialogue from 1985-2002, Cardinal Arinze had long experience in interreligious relations around the world. As a gifted communicator he is able to express what he learned in very simple terms. His is a clear, lucid explanation of the rationale for interreligious dialogue and a sure guide for engaging religious diversity. Knitter, Paul F. Introducing Theologies of Religions. New York: Orbis Books, 2002. This book is the fruit of a lifetime of academic and practical involvement in interreligious dialogue around the world. Knitter presents each of the current theological models of religious pluralism, their strengths, their weaknesses, the different nuances of the various proponents of each model. 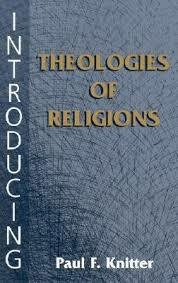 The book is designed as a basic reference for a course on a theology of religious pluralism. Each chapter has questions for reflection and further recommended reading. Ariarajah, S. Wesley. Not Without My Neighbour – Issues in Interfaith Relations. Geneva: WCC Publications, 1999. Arinze, Cardinal Francis. Building Bridges: Interreligious Dialogue on the Path to World Peace – an Interview with Cardinal Francis Arinze. New York: New City Press, 2004. Barnes SJ, Michael. Theology and the Dialogue of Religions. Edited by Colin Gunton and Daniel W. Hardy. Vol. 8, Cambridge Studies in Christian Doctrine. Cambridge: Cambridge University Press, 2002. Becker, Karl J, and Ilaria Morali, eds. Catholic Engagement with World Religions. Edited by William R. Burrows, Faith Meets Faith. Maryknoll, NY: Orbis Books, 2010. Brockman, David R, and Ruben L.F. Habito, eds. The Gospel among Religions: Christian Ministry, Theology and Spirituality in a Multifaith World. Maryknoll, NY: Orbis Books, 2010. Burrows, William R., ed. Redemption and Dialogue: Reading Redemptoris Missio and Dialogue & Proclamation. Maryknoll, NY: Orbis, 1993. Excellent analysis and review of the two magisterial documents. Cassidy, Edward Idris Cardinal. Ecumenism and Interreligious Dialogue: Unitatis Redintegratio, Nostra Aetate. 8 vols. Vol. 1, Rediscovering Vatican II. New York/Mahwah NJ: Paulist Press, 2005. Catholic Bishops’ Conference of England and Wales. Meeting God in Friend & Stranger: Fostering Respect and Mutual Understanding between the Religions. Vol. 2010, London: The Catholic Truth Society, 2010. This is the teaching document on interreligious dialogue from the Bishops’ Conference of England and Wales. It reminds Catholics that they are called by their Baptism to engage in dialogue with others, and specifically with people of other religions. Cornille, Catherine. The Im-Possibility of Interreligious Dialogue. New York: Herder & Herder, Crossroad Publishing, 2008. Cornille, Catherine, ed. Criteria of Discernment in Interreligious Dialogue. Eugene, OR: Cascade Books, 2009. D’Costa, Gavin. The Meeting of Religions and the Trinity. Edinburgh: T & T Clark, 2000. D’Costa, Gavin. Christianity and World Religions: Disputed Questions in the Theology of Religions. Chichester, West Sussex: Wiley-Blackwell, 2009. Dupuis, Jacques. Christianity and the Religions: From Confrontation to Dialogue. Translated by Phillip Berryman. New York: Orbis Books, 2002. Fitzgerald, Michael L., and John Borelli. Interfaith Dialogue: A Catholic View. Maryknoll, NY: Orbis Books, 2006. Fredericks, James L. Faith among Faiths: Christian Theology and Non-Christian Religions. New York/Mahwah, NJ: Paulist Press, 1999. Hedges, Paul Controversies in Interreligious Dialogue and the Theology of Religions. London: SCM Press, 2010. Heft, James L, ed. Catholicism and Interreligious Dialogue. New York, NY: Oxford University Press, 2011. Hinze, Bradford. Practices of Dialogue in the Roman Catholic Church: Aims and Obstacles, Lessons and Laments. New York; London: Continuum, 2006. Irudaya SJ, Ray. “Attitudes and Approaches Employed in the Dialogue of Jesus with the Samaritan Woman: Their Relevance to Interreligious Dialogue Today.” SEDOS Bulletin 35, no. 11/12 (November-December 2003). Isizoh, Chidi Denis, ed. Milestones in Interreligious Dialogue: A Reading of Selected Catholic Church Documents on Relations with People of Other Religions. Rome, Lagos: Ceedee Publications, 2002. Jukko, Risto. Trinity in Unity in Christian-Muslim Relations: The Work of the Pontifical Council for Interreligious Dialogue. Edited by David Thomas, Tarif Khalidi, Gerrit Jan Reinink and Mark Swanson. Vol. 7, History of Christian-Muslim Relations. Leiden – Boston: Brill, 2007. Kendall SJ, Daniel, and Gerald O’Collins SJ, eds. In Many and Diverse Ways – in Honor of Jacques Dupuis. Maryknoll: Orbis Books, 2003. Knitter, Paul F. One Earth Many Religions: Multifaith Dialogue and Global Responsibility. Maryknoll, NY: Orbis Books, 1995. Knitter, Paul F. Without Buddha I Could Not Be a Christian. Oxford: Oneworld, 2009. Kratz Mays, Rebecca, ed. Interfaith Dialogue at the Grass Roots. Philadephia, PA: Ecumenical Press, 2008. O’Collins SJ, Gerald. Salvation for All: God’s Other Peoples. Oxford: Oxford University Press, 2008. O’Collins (SJ), Gerald. The Second Vatican Council on Other Religions. Oxford, UK: Oxford University Press, 2013. Okoro, Kieran C. Jesus and Non-Christian Religions: Interreligious Dialogue after Vatican II and the Universal Significance of Jesus. Bloomington, IN: AuthorHouse, 2012. O’Mahony, Anthony, and Peter Bowe OSB, eds. Catholics in Interreligious Dialogue: Monasticism, Theology and Spirituality. Leominster, Herefordshire: Gracewing, 2006. Panikkar, Raimon. The Intra-Religious Dialogue. Revised ed. New York; Mahwah, NJ: Paulist Press, 1999. Ratzinger, Joseph Cardinal. Truth and Tolerance: Christian Belief and World Religions. Translated by Henry Taylor. San Francisco: Ignatius Press, 2004. Rowe, Keith. Living with the Neighbour Who Is Different: Christian Faith in a Multi-Religious World. Melbourne: Uniting Church Press, 2000. Sacks, Jonathan. The Dignity of Difference – How to Avoid the Clash of Civilizations. London & New York: Continuum, 2002. Sullivan SJ, Francis A. Salvation Outside the Church? Tracing the History of the Catholic Response. Mahwah, NJ: Paulist Press, 1992. Swidler, Leonard, Khalid Duran, and Reuven Firestone. Trialogue: Jews, Christians, and Muslims in Dialogue. New London, CT: Twenty-Third Publications, 2007. Tauran, Cardinal Jean-Louis. “Interreligious Dialogue: A Risk or an Opportunity?” Thinking Faith (2008). Published electronically 31 May 2008. http://www.thinkingfaith.org/articles/20080531_1.htm. Teasdale, Wayne. Catholicism in Dialogue: Conversations across Traditions. Edited by Robert A Ludwig, Catholic Studies Series. Lanham, Boulder, New York, Oxford: Rowman & Littlefield, 2004. Excellent account of the issues arising in the practice and theory of interreligious dialogue. Marshall, Katherine. 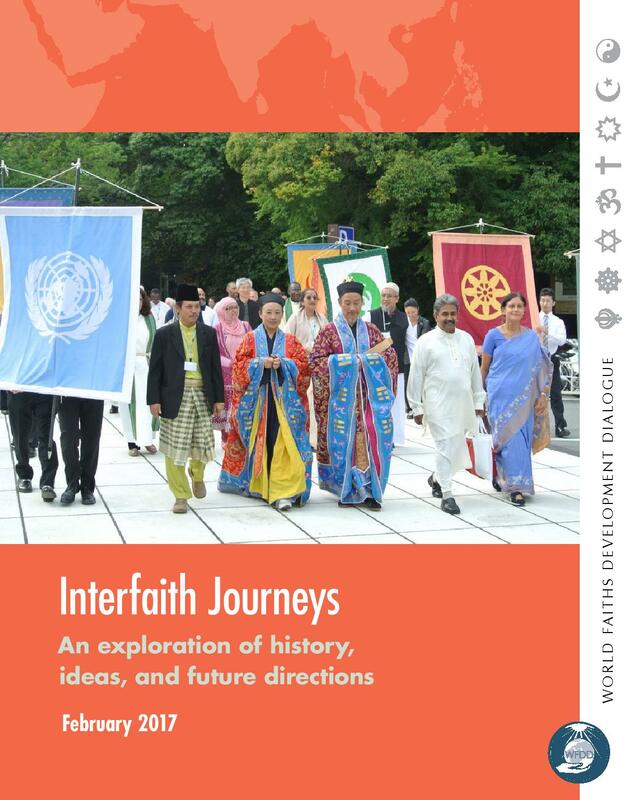 Interfaith Journeys: An Exploration of History, Ideas and Future Directions. Washington, DC: World Faiths Development Dialogue, 2017. The PCID is the official body in the Vatican for relations with believers from other relgions. The website contains the teaching documents, addresses and messages sent annually from the Vatican to the various faith communities. E-zine “Current Dialogue” contains a wealth of articles on interreligious dialogue, news about interreligious events and related WCC consultation reports. From the Jesuits in the USA, this site is devoted to documentation, reports and interconnections on interreligious dialogue in their ministries. It includes an archive of the publication Jesuits in Dialogue, access to extensive documentation and a list of (mainly American) interfaith links. Other areas of interest are Resources for Interfaith Marriage and a link with a Muslim-Christian Marriage Support Group. There are also resources and contacts for interreligious education in schools and reports from interfaith conferences, events particularly from Jesuit institutions. This is the website of the Catholic Bishops Conference of England and Wales (CBCEW). The Department for Dialogue and Unity works to foster cooperation with other Christian traditions and other faiths. It has a variety of resources on Christian Unity, Jewish Relations and Other Religions. Scarboro Missions, like St Columban’s Mission, has a long and good track record in interreligious dialogue. Their website offers an array of materials and articles, including resources for the classroom. Of particular note is The Golden Rule Poster, around which they have built an impressive array of resources. They have kindly granted the Columbans in Australia permission to publish an Australian version of this very important resource. …[T]o advance public knowledge and mutual understanding of the teachings, traditions and practices of the different faith communities in Britain including awareness both of their distinctive features and their common ground and to promote good relations between persons of different faiths. The Interfaith Relations Office is a part of the Theology, Worship and Education ministry area of the Presbyterian Church (USA) and works in close connection with other offices and ministries of the whole church. The site contains sections on current news, Presbyterian and other resources on a variety of interfaith topics, including guidelines, interfaith services, interfaith marriages, introductions to various religions, and relations with particular religions. http://institute.jesdialogue.org/resources/tools/decalogue/. Also, The Journal of Ecumenical Studies (JES), founded by Leonard and Arlene Swidler in 1964 as the first peer-reviewed journal in the field of interreligious dialogue. The first world interfaith event was the World’s Congress of Religions held in Chicago in 1983. To commemorate the centenary of this event, the Parliament of the World’s Religions was held in Chicago in 1993. It was created to cultivate harmony among the world’s religious and spiritual communities and foster their engagement with the world and its guiding institutions in order to achieve a just, peaceful and sustainable world. It has been held in various countries since. DIMMID is an international Benedictine-inspired monastic organization that promotes and supports dialogue, especially dialogue at the level of religious experience and practice, between Christian monastic men and women and followers of other religions. It offers a variety of resources including news, Monastic-Muslim Dialogue, links relating to dialogue with various religions and a newsletter. “URI is a global grassroots interfaith network that cultivates peace and justice by engaging people to bridge religious and cultural differences and work together for the good of their communities and the world. We implement our mission through local and global initiatives that build the capacity of our more than 600 member groups and organizations, called Cooperation Circles, to engage in community action such as conflict resolution and reconciliation, environmental sustainability, education, women’s and youth programs, and advocacy for human rights.” The website describes the structure and work of URI and provides resources on a variety of topics. The WCF works to develop better understanding, cooperation and respect between people of different faiths. It is a personal membership educational charity established in 1936. It arranges a variety of conferences, meetings, retreats, visits and group travel facilitating interreligious encounter. The website provides news, reports on WCF events, lectures and articles. WCF also publishes Interreligious Insight. The first major result of this investigation of the foundation of the religions was the “Declaration towards a Global Ethic”. Drafted by Professor Hans Küng of the University of Tübingen, it was endorsed by the Parliament of the World’s Religions in Chicago in 1993. Religions for Peace, founded in 1970, is guided by the vision of a world in which religious communities cooperate effectively for peace, by taking concrete common action. The website explains what, how and where RfP is promoting multi-faith initiatives for peace. It has a searchable database of documents, reports and statements on these activities. State of Formation, founded as an offshoot of the Journal of Inter-Religious Studies (JIRS), is a program of CIRCLE, The Center for Interreligious and Communal Leadership Education at Hebrew College and Andover Newton Theological School. See also Nemer, Larry. “Prophetic Dialogue: A New Way of Doing Mission?” “. South Pacific Journal of Mission Studies, no. 36 (January 2007): 30-36. This is a voluntary association of episcopal conferences in South, Southeast, East and Central Asia, established with the approval of the Holy See. Its purpose is to foster among its members solidarity and co-responsibility for the welfare of Church and society in Asia, and to promote and defend whatever is for the greater good. There are nearly 150 FABC Papers on mission in Asia. There is a Climate Change Desk. SEDOS Bulletin is available online. There is an archive and a searchable database. Global Missiology is a quarterly publication of contributions from international researchers, practitioners and scholars who have a global perspective. The database can be searched by issue, author or title. Globethics.net is a worldwide ethics network based in Geneva. It aims to empower people everywhere to reflect and act on ethical issues. The digital libraries offer registered users electronic access free-of-charge to thousands of full-text documents on ethics and related disciplines. The database of articles, books, journals may be searched by keywords (dialogue, interfaith, Buddhism, Hinduism, Islam) or by author. TIO is a free monthly electronic journal created to explore interreligious relations and the interfaith movement as a whole. It provides historical perspectives, surveys current interfaith news, profiles major stakeholders, and otherwise provides maps and sign-posts for the different sectors of an emerging interfaith culture. This website contains all sorts of popular religion stories (like the health of Thich Nat Hahn and whether Buddhism can save Tiger Woods’ golf). It has a convenient way of subdividing the search by different religions. WRN is another site in the IEN network. The Martin Marty Center is the University of Chicago, Divinity School’s institute for advanced research in all fields of the academic study of religion. Sightings reports and comments on the role of religion in current events via e-mail twice a week to a readership of over 5,000. Through the eyes, ears, and keyboards of a diverse group of writers, Sightings displays the kaleidoscope of religious activity: a reflection of how religious currents are shaping and being shaped in the world. The Religion and Culture Web Forum is an online forum for thought-provoking discussion on the relationship of scholarship in religion to culture and public life. Each month a scholar of religion is invited to comment on his or her own research in a way that “opens out” to themes, problems, and events in world cultures and contemporary life. Scholars from diverse fields of study are invited to offer responses to these commentaries. In the secular press in the United States, the one which gives most attention to religious stories is probably the Huffington Post but naturally it has mostly an American focus though not always Christian centered. In the “Create an alert about” box, enter the key words about which you want to get email notifications. Click Show options to customize things like how often you get alerts, types of websites you want to search, and the email address for your alerts. News and stories are also found by scanning the contents of various e-news subscriptions such as CathNews, Zenit, WCC and postings on social media such as Facebook. The terms “interreligious dialogue“, “interfaith dialogue” and “interfaith relations” are used interchangeably. “Interreligious Dialogue” is abbreviated as IRD.